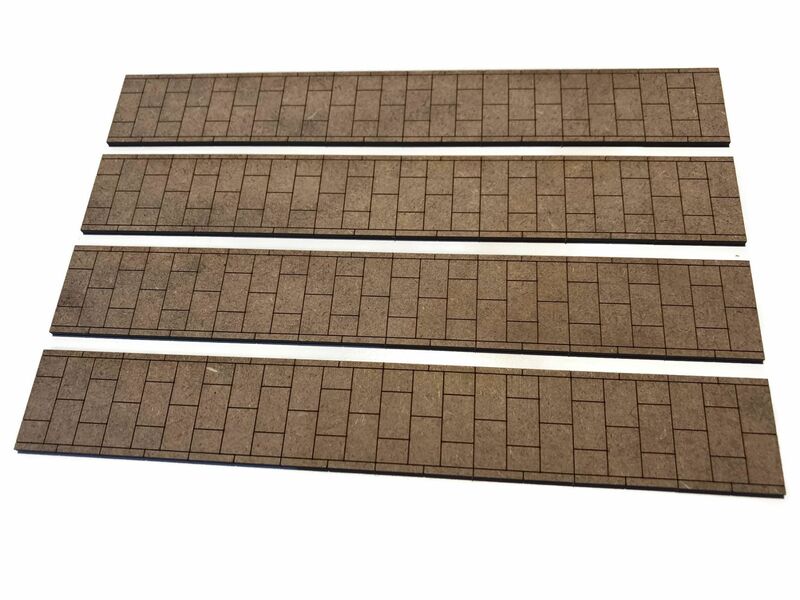 Part of our laser cut basics range, this pack of 4 laser cut MDF pavement strips make a quick and easy way to add realistic pavements to your OO scale model railway layout. 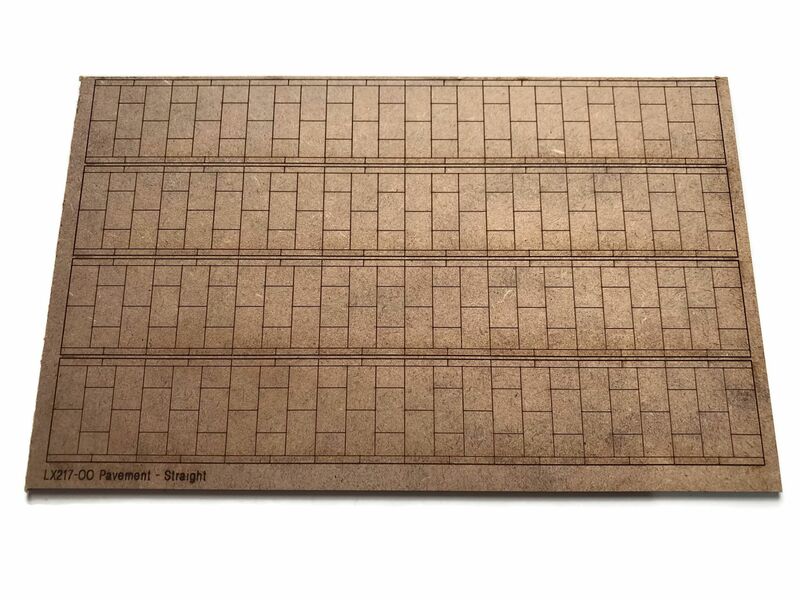 Featuring laser engraved 2ft x 3ft slab detail along with 3ft kerbs down each side. 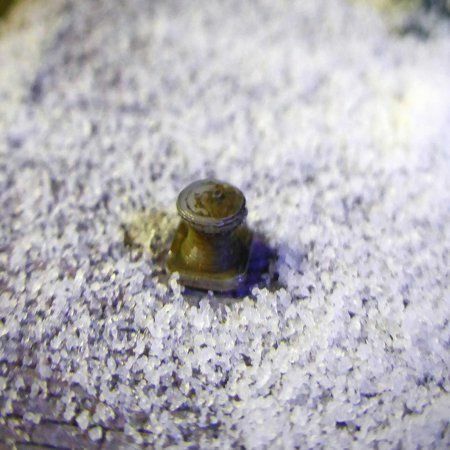 Precision cut from 2mm mdf, these give a more realistic appearance when painted, being equivalent to 6" pavement height. A choice of 4 or 8 strips in each pack. Supplied unpainted & ready to paint with your choice of grey / concrete colour acrylics or emulsion paints.